Ok, so I know this is not an Italian meal created traditionally, this is my take on the cuisine. Ragu is something I always turn too when I’m wanting a comfort food. 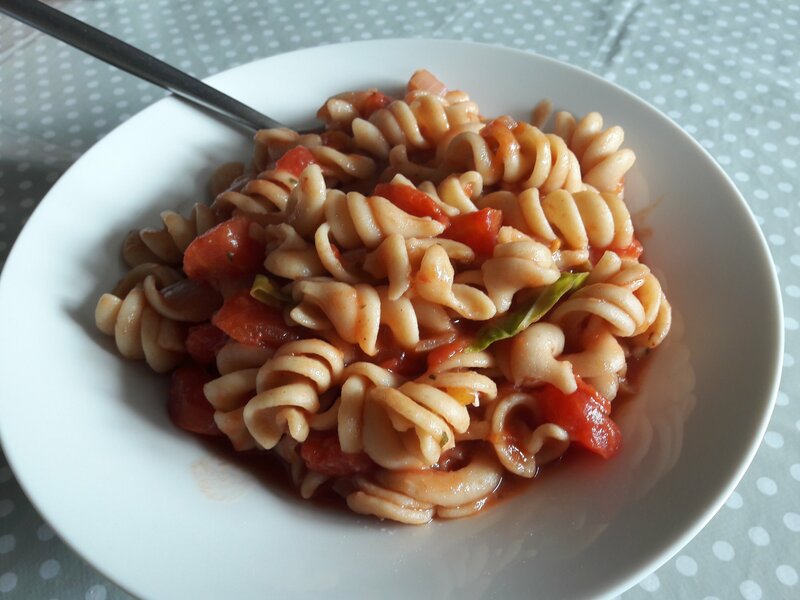 Normally it’s a meaty sauce mixed with a tomato liquid and pasta, however, as we are living a plant based lifestyle a meaty sauce is not on the recipe cards. I cut it out completely and simply use a tomato base with vegetable stock for extra flavour. This recipe doesn’t even take too long to recreate, making it the perfect go-to meal when you need a quick lunch or dinner. I love to make a big batch of this super healthy ragu, to have for dinner and then freeze the remainder for extra convenience, or make into lunches. I must say that it tastes even better after a few days, hot or cold. This is the healthiest version of ragu you can get. No animals were harmed in the making of this dish, so of course it’s healthy! If you want to make it even more satisfying you can add mushrooms or lentils to make this more ‘meaty’ in texture, similar to the traditional way of making ragu. Also instead of pasta, you can make it gluten free and serve the ragu with courgetti (courgette and zucchini spaghetti) maybe add some vegan parmesan cheese to make it more fancy. Suitable for a dinner party especially when you want to convince your non-vegan friends and family that plant-based dishes are delicious, nutritious and full of flavours. Check out my recipe below, enjoy your plant based ragu! A 100% plant based tomato ragu with added green cabbage. peel and chop onion, garlic and chilli finely. Place them in a large frying pan on a medium heat, cook for 2-3 minutes. Add the chopped green cabbage, chopped tomatoes, cherry tomatoes and vegetable stock to the pan, bring to the boil then add cinnamon and Italian herbs to the sauce. Cover and cook for 20-25 minutes. While the sauce is cooking, cook the pasta according to the packet then drain once cooked and add to the sauce. Toss the mixture to cover evenly. Then plate up and serve!